Power: 24 Kw. - 32 Kw. 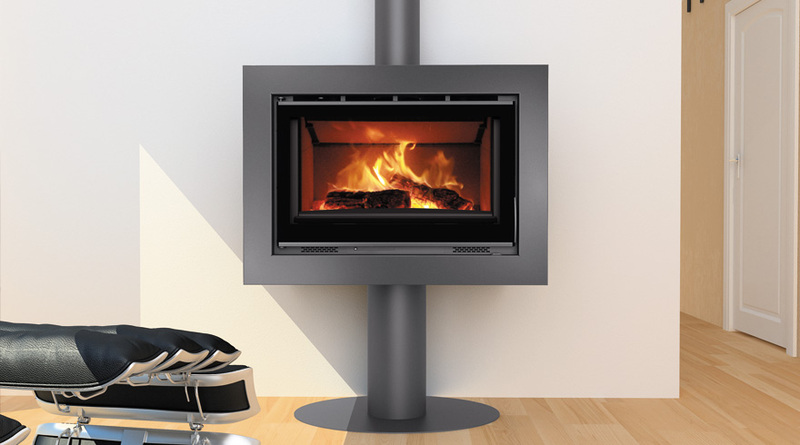 Fireplace interior lined with 3 mm steel panels. 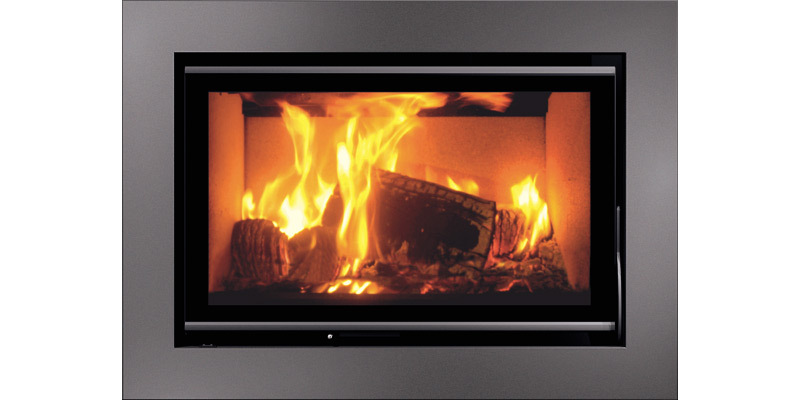 They provide fast and powerful heat resistance. The crease of the surface of the panels gives it a great resistance to tensions and deformations. To finish the installation with a frame that covers the four faces of the apparatus. 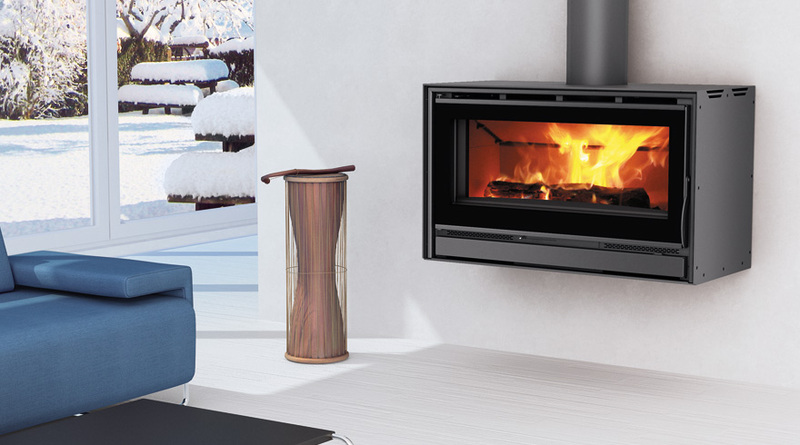 Our HIDRO models are designed to work with firewood, allow you to enjoy the benefits of a fireplace while taking advantage of the heat generated by combustion to heat the radiators at home and produce hot water for sanitary use. The HIDRO range is characterized by its careful design and aesthetics. Our thermo-chill models are equipped with a stainless steel cooling coil that allows the installation of a thermal safety relief valve. 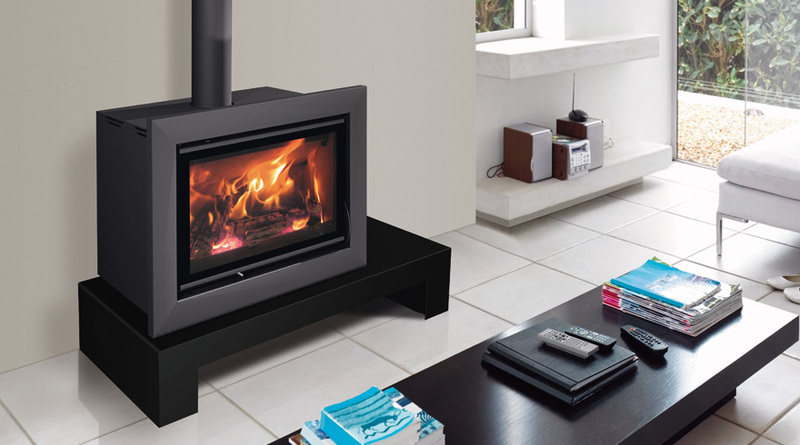 In this way, you can enjoy a pleasant and comfortable heating system in your home. Power: 15 Kw. - 23 Kw. 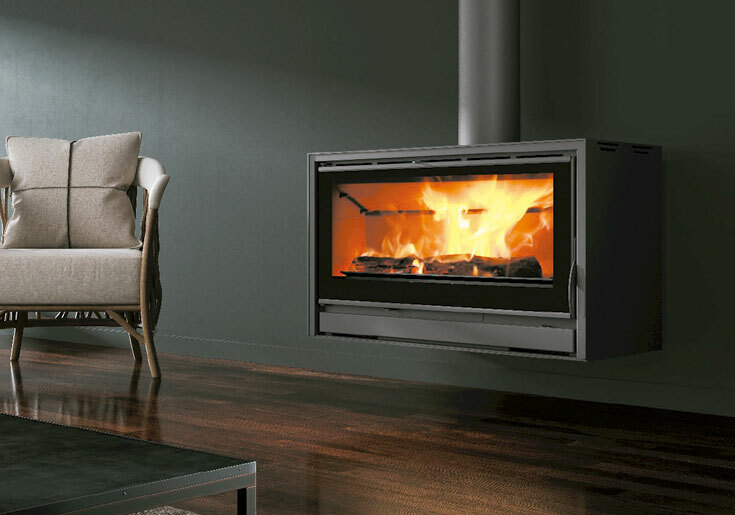 The CARBEL inserts and fireplaces are designed to work perfectly with both turbines and without them. 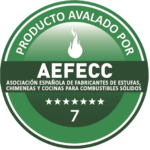 The advantages of not carrying ventilation is that no electrical installation is necessary. Our models are equipped with a stainless steel cooling coil that allows the installation of a thermal safety relief valve. 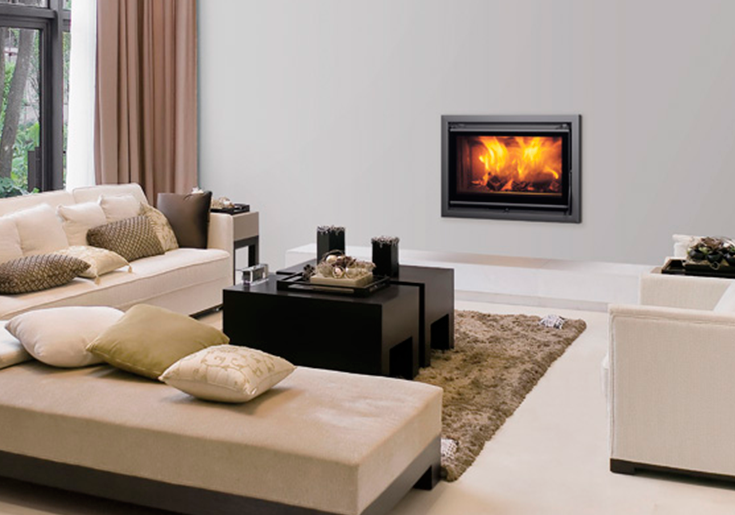 In this way, you can enjoy a pleasant and comfortable heating system in your home. Power: 6 Kw. - 13 Kw. Interior lined with vermiculite plates. 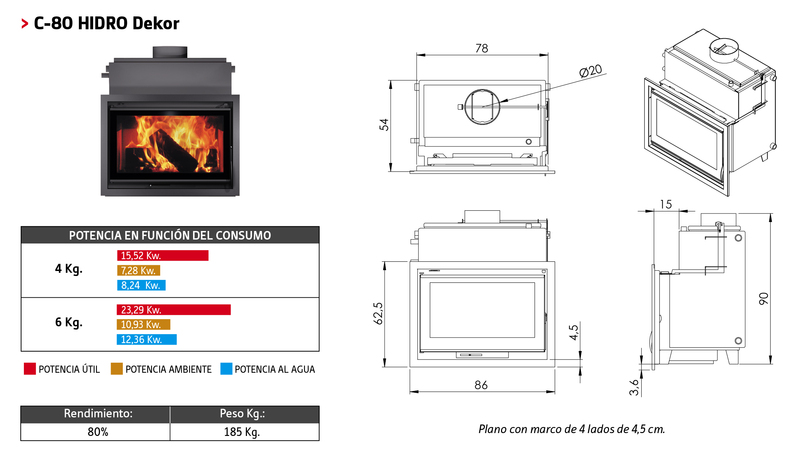 Thanks to its refractory properties, higher temperatures are achieved favoring the combustion of firewood. Interior of chimney clad with 3 mm steel panels. 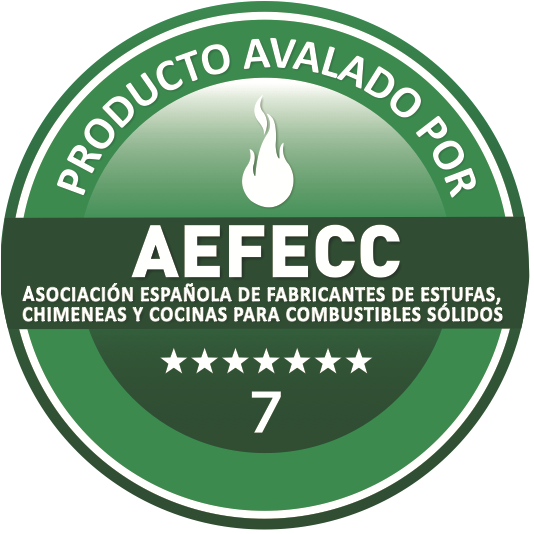 They provide fast and powerful heat resistance . Interior of the chimneys coated with refractory cement . High resistance. High thermal inertia . Self-cleaning material. 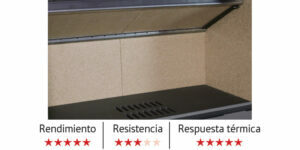 Elegant frame that covers the 4 sides of the appliance integrating the fan cover so that it is not visible. Operation with automatic safety thermostat. Decorative fireplace mantel that integrates sobriety and design. 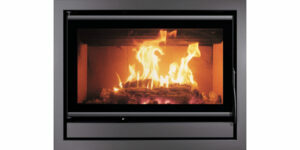 With a finished care, it combines thermal and physical resistance. 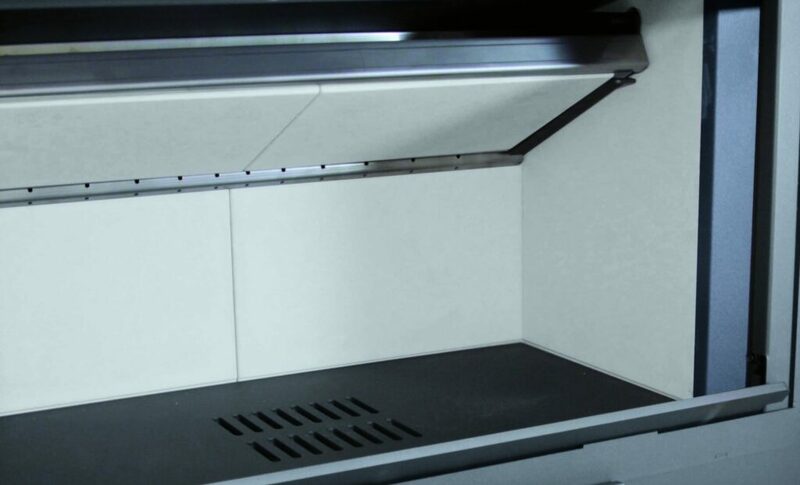 Its versatility makes it the ideal solution for practical and aesthetic installations. 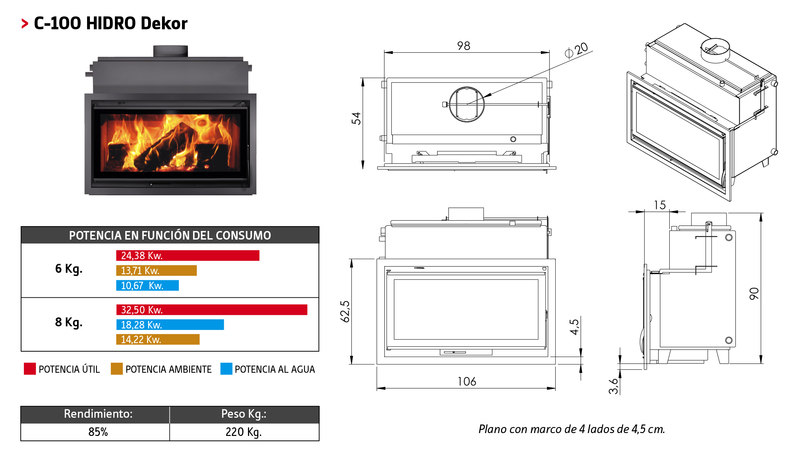 Series of models of non-recessed stoves that simplify and allow to avoid masonry work. New optional firewood compartment for coatings. Allows quick and easy installation to the wall thanks to its suspension kit. Practical and aesthetic RC-80 PLUS! 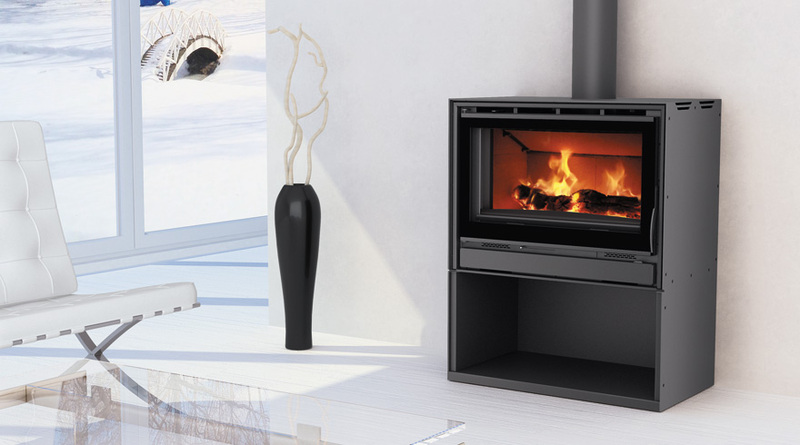 Designed as a metal-plated insert you will enjoy the convection heat of a stove, and the functionality of its integrated fans. It offers multiple mounting options, on one foot, a practical wood-fired, suspended on the wall, on a bench, etc. Choose the option that best suits your needs! 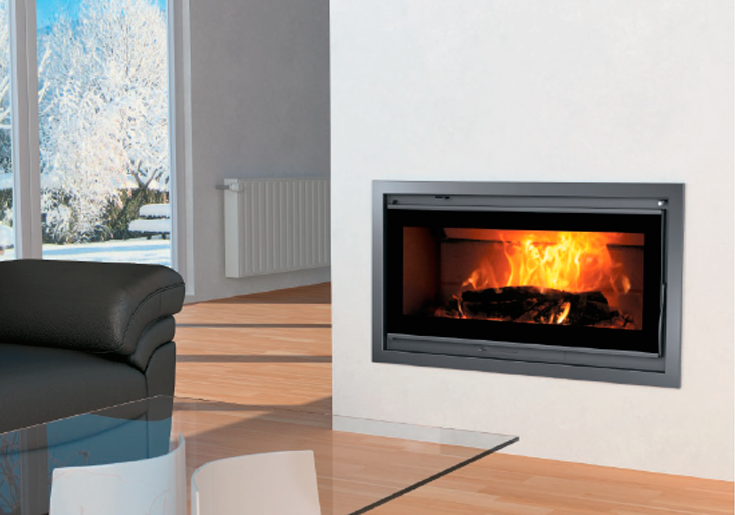 Enjoy the comfort of its great heat power and at the same time with an efficiency of 78%. Double combustion system and clean glass. The RC is a series of non embedded models that simplify room arrangements by making it possible to avoid masonry work. 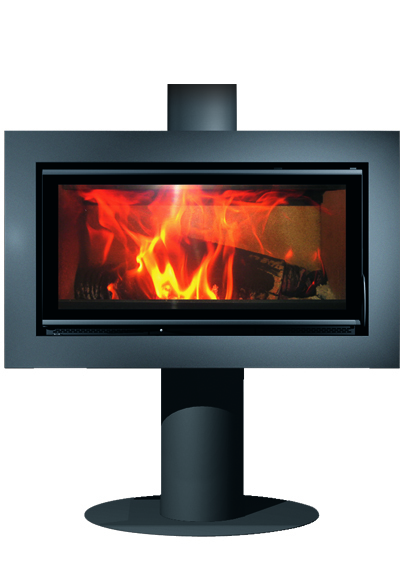 The stove, insert design will allow you to enjoy heat from convection as well as the additional warmth from its installed fans. 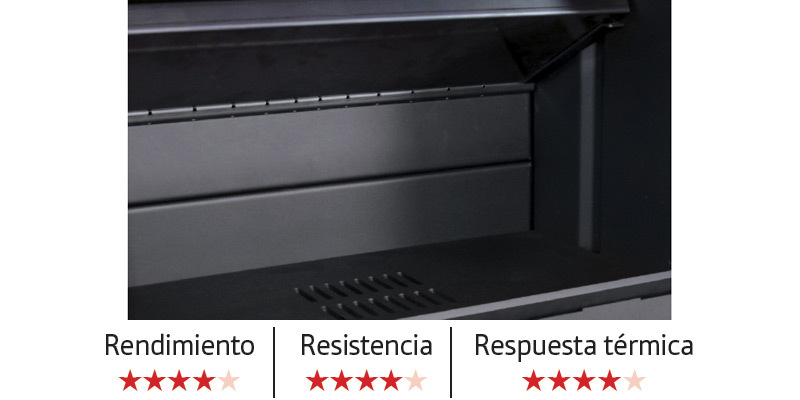 Power: 6 Kw. - 15 Kw. Interior lined with slabs of white refractory cement. High strength. High level of thermal inertia. RC-100 the largest model and power! 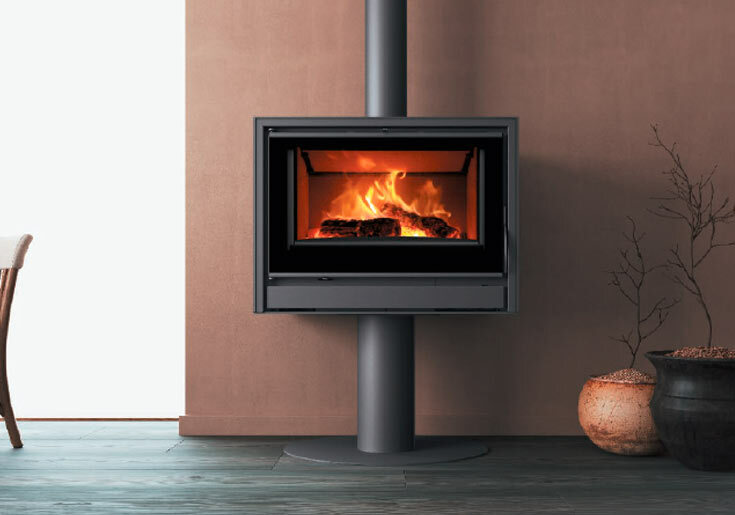 Its design as insertable with a metallic coating will allow you to enjoy the convection heat of a stove, and the functionality of its integrated fans.